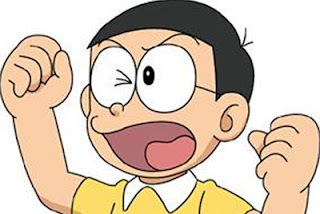 Satirical News: President Nobita Declares an Order For An Anime Themed Halloween! President Nobita after watching Rurouni Kenshin: Kyoto Inferno, Rurouni Kenshin: Legend's End and Lupin III he had decided to open an Anime Themed Halloween, declaring that this year October 2014 that everyone must wear Anime-themed costumes while trick-or-treating or face a fine. Yes these are the Halloween costumes of President Nobita and DILG Secretary Doraemar Roxas! To implement the law just yesterday, both President Nobita and Doraemar Roxas dressed up as the cartoon Nobita and Doraemon. Doraemar Roxas yesterday campaigned for the presidency dressed up as the cartoon Doraemon, even bought a fourth pocket dimension from Japan to impress people with what he can do. 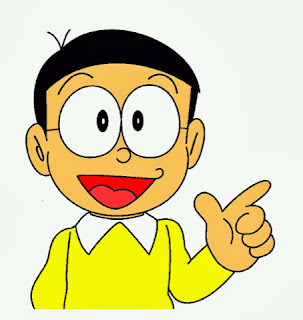 President Nobita on the other hand went around dressed up as cartoon Nobita. The other No Directioners namely Kill Henares dressed up as Jaeko, Money Villar dressed up as Suneo and Pink Lacson dressed up as a Japanese cop. President Nobita in an interview said, "For the past few months, the Rurouni Kenshin event may be the key to solving the MRT problems. Japan is now selling Den-Liners which we can replace every last Gloria-hexed MRT Trains. As said, it's Gloria's fault that the MRT Trains are cursed and we must replace them with the Den-Liners from Japan that's why DAP exists. If Filipinos show an otaku spirit, Japan will be convinced to invest their business in here. That's why I must combat the leftists no matter what. Of course, I plan to replace all products made in China with products made in Japan to deprive China of funds that pays for the needs of Damulag's Army." Kill Henares was in charge of placing fines for those who refuse to comply with the law. She said, "Unless the people will all follow Nobita's law to go around in Anime costumes tomorrow, I will definitely double their taxes and penalize them! If they do comply, I will grant every amount of money they used to make the costumes as deductibles to their income taxes." Meanwhile some Otakus thought the declaration is just stupid. One Otaku named Dhathor Cuyos said, "Really since when did President Nobita have good taste? All ABiaS-CBN does is show crappy shows all over again! He's just bootlicking Japan so the ToQGers will help him defeat Damulag's Army that is currently patrolling Spratlys. Besides, shouldn't he as the president also prioritize traffic control in Imperial Manila? Christmas is already coming and don't expect traffic to get any better!"